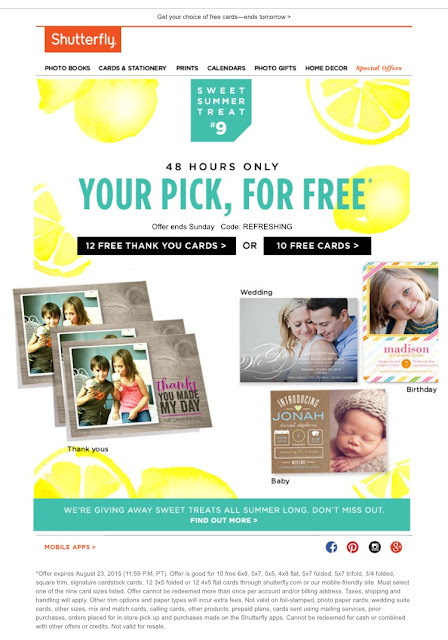 I opened my email this morning to find this offer from Shutterfly! Twelve of these babies! I chose the design that reminded me of a watercolor painting since Parker has been so into watercolors lately. The REFRESHING promo code is only good until midnight tonight, so act fast! What will you order with the free offer?